Beat eggs, salt and milk together. In an oven safe skillet, melt the butter over medium heat on the stove top. Add in the broccoli to soften and coat. Pour the eggs in the pan and cook until the eggs just start to firm up, pushing the eggs back and forth with a spatula. Spread evenly over the pan, and take off the flame. 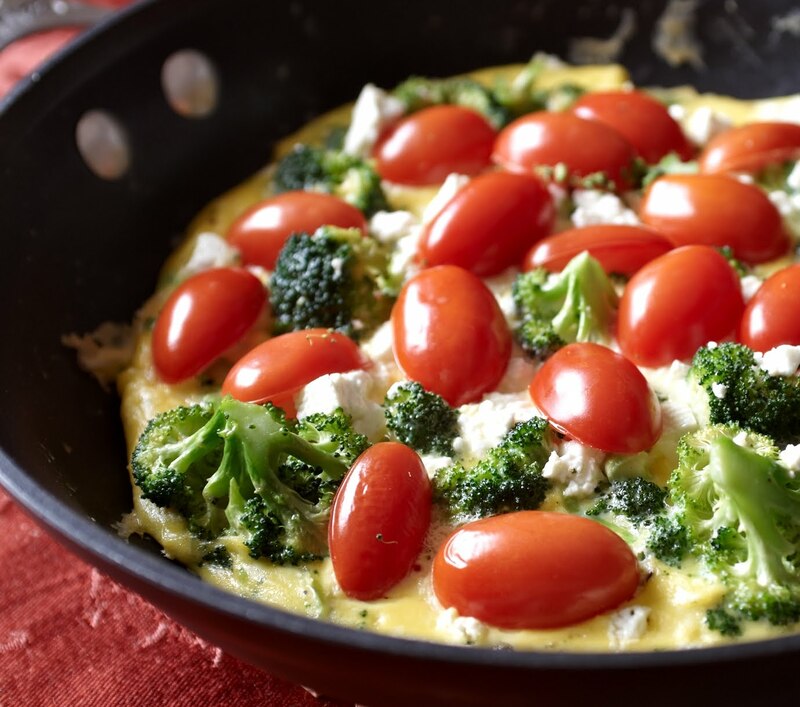 Top with tomatoes and Feta, then put it in the oven for 10 minutes until the eggs are completely set, but not browned. Divide on two plates and serve warm, with toast and coffee. We ran across this recipe in our favorite cookbook, The Food You Crave, by Ellie Krieger. It’s slow cooked brisket in a home made, and plate licking, sweet and sour sauce. We bought our brisket at Fulton Market and literally couldn’t wait to prepare this, but it takes some time! So make this on the weekend, and please let us know what you think, because we literally have never tasted any brisket more incredible then this one! We had to share. Some tricks we learned while making this… make sure you have a large stove top to oven pot, like our Le Creuset dutch oven with the heavy lid. Also, you have to let the roast rest and cool down for 45 minutes before slicing it- otherwise it will shread ( which is also yummy but not as ideal for sharing a sliced roast!) Just put the sliced meat back in to the sauce over the stovetop to heat it back up- and it’s perfection! Pat the brisket dry and sprinkle with the salt and pepper. Heat 1 tablespoon of the oil over medium-high heat in a Dutch oven or braising pot. Sear the brisket until it is browned, 4 minutes per side. Transfer the brisket to a plate. Add the remaining 1 tablespoon oil to the pot and cook the onion, stirring a few times, until softened, 3 to 5 minutes. Add the garlic and cook, stirring, for 1 minute. Add the tomato sauce, broth, brown sugar, 1/3 cup of the vinegar, the raisins, peppercorns, and allspice and stir to combine well. Bring mixture to a boil, return brisket and any accumulated juices to the pot, spoon some of the tomato-vinegar mixture over the brisket, cover tightly, and transfer to the oven. Cook until the brisket is fork tender, 2 1/2 to 3 hours. 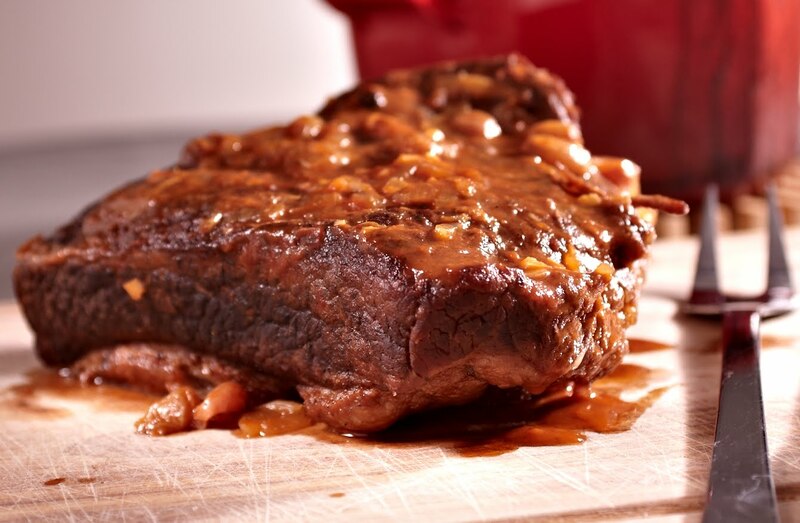 Remove the brisket from the oven, transfer the meat to a cutting board, and let rest for 10 to 20 minutes or, if serving later, cover and refrigerate the meat and sauce for several hours or overnight. When you are ready to serve, cut the meat against the grain into 1/4- inch thick slices. Return the sliced brisket to the sauce until heated through, then serve. 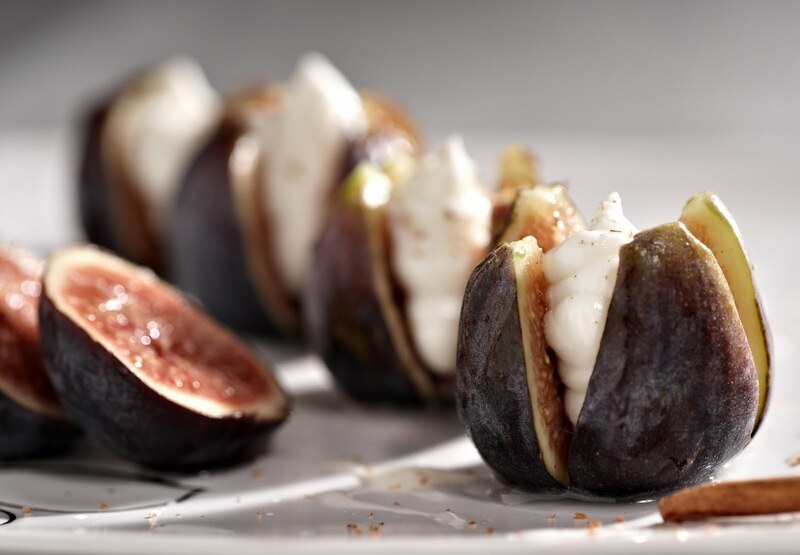 Remove the stems of the figs and cut into quarters from the top down to, but not completely through, the base of the fig. Cream or whip the goat cheese with half the honey and a half the cinnamon, then and place it in a sandwich bag- snip the corner to allow a small hole for piping the cheese. Pipe cheese into the center of each fig. Drizzle the remaining honey and cinnamon over the figs and serve! Chocolate…. Bananas…. Chopped pecans…. We’re not sure we need to say more…. try these out and you really won’t miss ice cream ever again. Place the peanuts in a shallow dish or on a plate. Melt the chocolate in the top of a double boiler over slightly simmering water, over the lowest possible heat, stirring frequently. Make sure the water is not touching the bottom of the top pan. Pour the melted chocolate into a tall glass. Dip each frozen banana into the chocolate, turning it to coat, and immediately roll in the peanuts. Place on a tray covered in waxed paper. Serve immediately or wrap individually in plastic wrap or waxed paper and freeze for up to 2 weeks. Many apologies for the lack of recipes we’ve posted this October! It’s been a hectic time with birthdays, freelance work, busy weekends and more. We’ve been cooking a lot, and enjoying the plentiful fall produce, just not sharing… we are back, no more excuses, with a fabulous fall recipe that uses pantry items and leftovers! 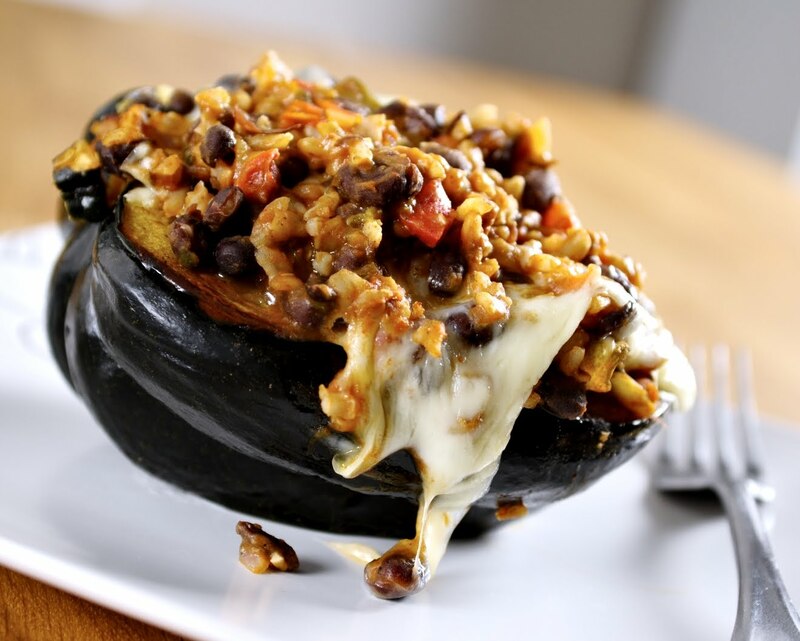 This dish is rich in flavors, the contrast of spicy and savory fillings within the sweet acorn squash with gooey mozzarella cheese topping it off is very satifying, and packs a healthy dose of vitamins! Use any leftover fillings the next day wrapped in tortillas. 1. Preheat oven to 375 degrees. Lightly coat a baking sheet with cooking spray. 2. Cut squash in half vertically ( from top where stem is to the bottom). Scoop out and discard the seeds. Rub the interior with a light coating of olive oil, salt and pepper, then place cut-side down on prepared baking sheet. Bake until tender about 35-40 minutes. 4. When squash are tender, reduce oven to 325 degrees. Fill the squash halves with the rice/ bean mixture ( about 1 cup in each half). Top with cheese. Place on the baking sheet and bake until the filling is heated through and the cheese is melted, 5-8 minutes. 5. 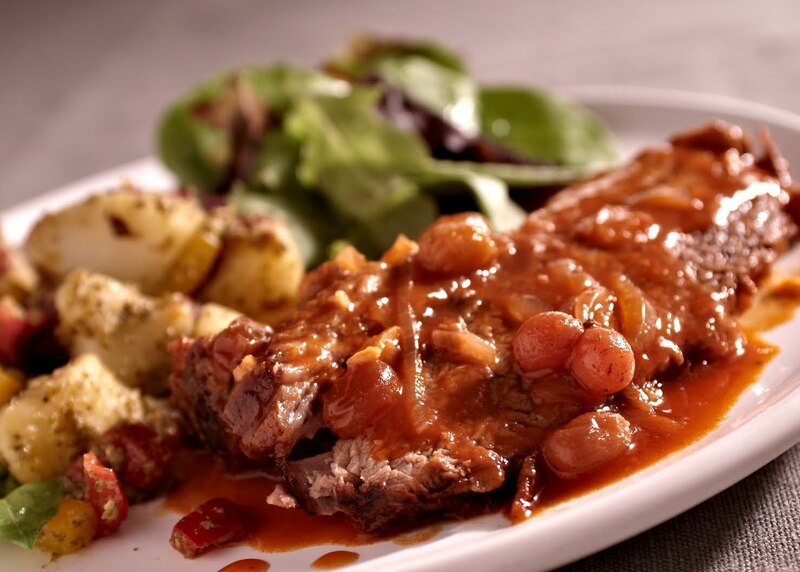 Enjoy this hearty, healthy, very filling meal and let us know what you think! These links include PDF’s of pocket guides that you print out and then can carry in your wallet! Place any 2-3 fish filets in a shallow pie plate covered with foil, spray with pam. Drizzle olive oil over, about 1 tablespoon, to coat the fish. Season with fresh minced garlic, slices of lime (or lemon), salt, and pepper. 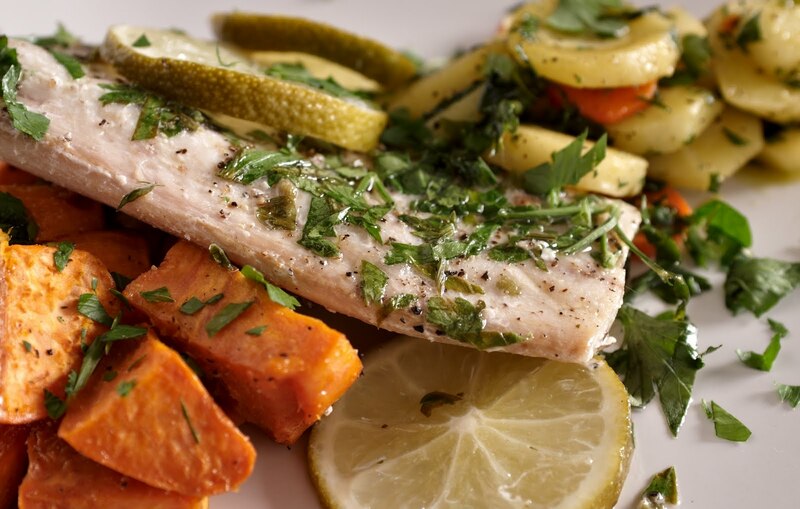 Bake uncovered in a 350 degree oven till fully cooked- this depends on the thickness of your fillet- follow packaging instructions. 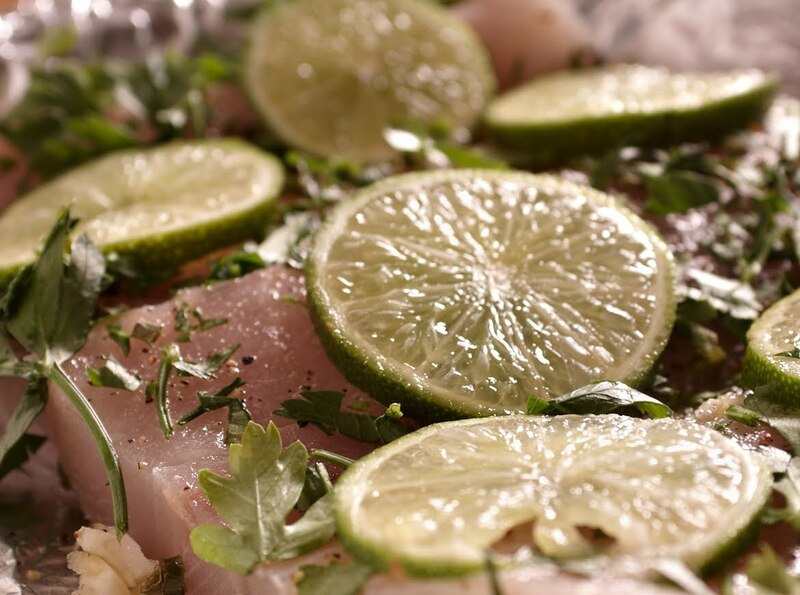 To serve, squeeze fresh lime or lemon juice over the top and sprinkle with fresh parsley. Our sides included Butter Parsley Turnips and Oven Roasted Sweet Potatoes, please inquire if you are interested in those recipes!